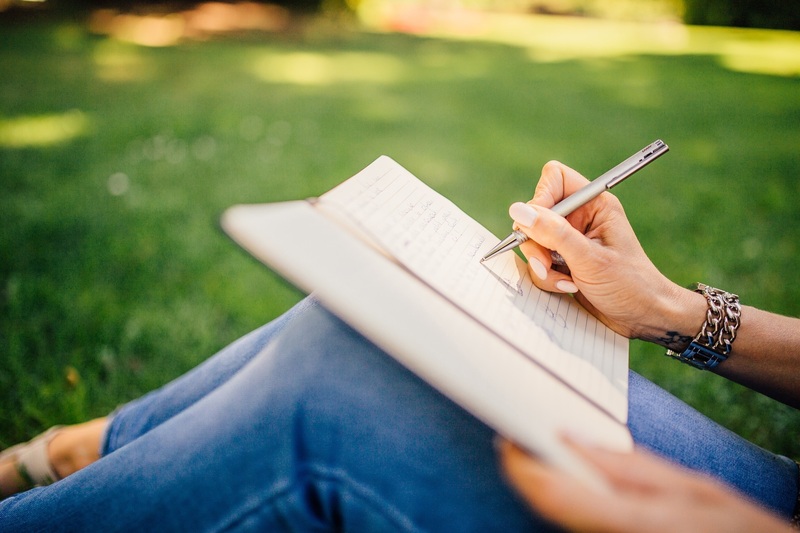 Six Ways Writing and Journaling Will Improve Your Mental Health - Anglia Counselling Ltd.
Studies have shown that there are significant mental health benefits to writing and journaling. One article, recently published in Advances in Psychiatric Treatment found a handful of 15-minute sessions helped people deal with traumatic experiences. Writing and journaling can help release trauma, heal using narrative medicine, be therapeutic, and help someone remember the positive things. Writing to-do lists can help alleviate stress and make your day more manageable, and so can turning to a community for help. Journaling is a great way to bring emotions, that we’re experiencing, out into the open and express them. In the same way, journaling can bring trauma out into the open, so it can be dealt with properly. In one study, fifty students were asked to journal for four consecutive days. One group was asked to write about traumatic past events, while the other wrote about trivial matters. The researchers measured their participants’ immune system functioning and found those who had written about past trauma showed a better improvement. Another study found women with substance use disorders who had experienced trauma showed a greater reduction in symptoms when they wrote expressively. Writing guides such as State of Writing and Via Writing can help you to start and find ideas for your express writing. Narrative medicine is a healing strategy that uses a person’s experiences, or narrative, as a way to heal. Narrative medicine promotes trust and empathy between clients and therapists. The closer and more trusting these two people are, the more potential there is for healing to occur. Narrative medicine is a growing field and is recognized in major institutions and facilities, including Columbia University and Memorial Sloan Kettering. Writing can be therapeutic for teens and children as well. Creative writing can be a good outlet for them to express feelings that are too hard or frightening to communicate out loud. It’s common for teens to feel there are certain things they are expected to say in therapy, but creative writing allows them to avoid this trap in thinking. Studies have shown that teens who wrote about their emotional and social problems experienced improved stress levels compared to the ones who wrote about general things. There are other creative outlets such as dance, music, and artwork that can also be therapeutic. Expressing gratitude can be very good for your mental health. One study had three groups write about positive things, negative things, and neutral things. The group that wrote about positive things they were grateful for, scored higher in measures of wellness. Each night, write about the things you are grateful for and consider exchanging a list with a friend. Try to think of a specific event you are especially thankful for and go into as much detail as possible. Life can be stressful. Sometimes it can feel like you have a thousand things to do. According to a goals research study, writing to-do lists every night before bed reduces your stress levels and you’re more inclined to achieve your goals. Creating a to-do list can help organize your thoughts by putting down on paper a list of tasks to complete the next day. One of the great things about getting into the habit of writing and journaling is the communities you will discover. Becoming part of a community, gives you the opportunity to discuss everything surrounding the process and is important for your mental health, especially if feeling isolated. It enables you to connect with people who have had similar experiences and you can share your experiences with them if you feel comfortable. Many people find it therapeutic to work through their problems with others, rather than by themselves. Modern life can feel very hectic and stressful, so it can seem hard to find time to sit down and write. However, the mental health benefits of writing and journaling are numerous so taking a few minutes each day to put some thoughts down can benefit us greatly. Writing is a good way to release trauma, works as therapy, and helps you remember the positive things you experienced. Telling your story through a narrative is a great way to heal and writing it down is the best way to organize your narrative. ← The ‘Millennials’ are here! Brenda, you have hit the bullseye! If I use myself as an example when I write. And that writing has let me process the various matters that assail me so that I can file them in compartments that I may now open if and only if I choose to do so. I opened one of those today. A boy I was hugely enamoured of when he and I were teenagers has his 62nd birthday today. I have chosen to open that compartment, to wish him well in my thoughts, and not to dwell on what was never going to happen between us. I write the fiction of the relationships I wish I had been able to have as a teenager. They let me live them with rose tinted spectacles. I write my own experiences, often here for Bob’s public, usually when I am angry. This helps me by sharing my “terrible misfortunes, most of which have never actually happened” and reducing the power they once held over me. I write in answer to others. Their opinions allow me to formulate different answers, and those answers may be in public, but are for me. I write so that others may either try to avoid my path, a path that I have made extremely hard for myself, and that others on similar paths may see that the path need not be followed to the end. In so writing I have steered myself to new paths, almost all better than the one I was insisting on walking along. I also listen, and do so before I write. I reserve the right to misinterpret what I have heard, though! Sometimes I even get it right! I’m so glad that you totally understand my point of view and found yourself in it. Writing is a huge tool for our mental health and I believe it is the best way to deal with all misfortunes and anger. And yes, I also tried to write about things which were never going to happen and… what’s strange… some of them had really happened later. How great that you share your experience with others. For me, Brenda, there are two reasons for writing, major ones. Both of them are to help me gain my own peace of mind. At least 70% of the reason for writing them down is to get my thoughts into an order that I understand. Writing them down crystallises them, and lets me see whether I’m correct or not. The remaining percentage, 30% or so, is that, while a “trouble shared is a trouble halved” is not correct, sharing a trouble often enough helps me to see that does not have the power it once had. When I share my troubles enough I start to get hold of the fact that they are no longer as great as they were once. Now, I’m in danger of rambling! I wonder if that is one of my troubles :)? Infographic	The ‘Millennials’ are here!